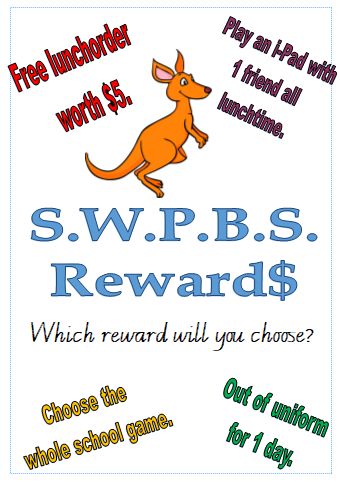 Our school has adopted the S.W.P.B.S. to promote great behaviour under the value RESPECT with 4 key areas: RESPECT for self, others, learning and school. The importance of valuing respect is a key concept that our school aims to promote for our entire school community, not only with the students. 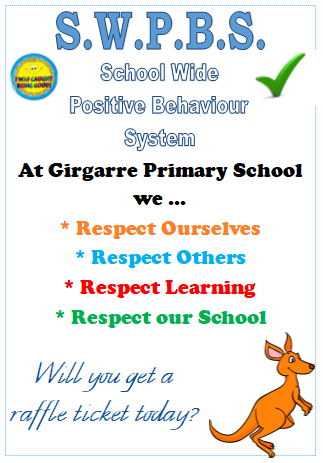 To do this we have adopted the School Wide Positive Behaviour Support system which encourages students to think about, and display, great behaviour. 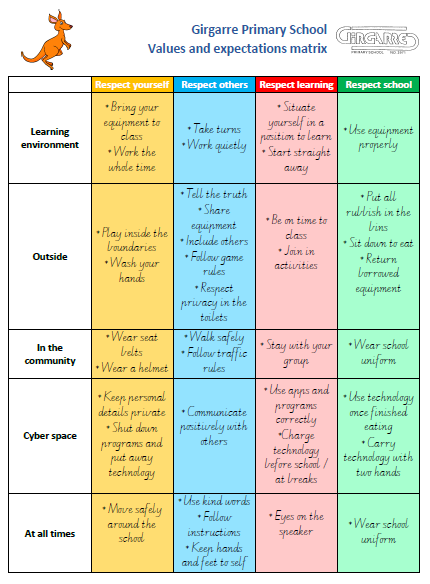 When students are 'spotted' showing great behaviour, they receive a raffle ticket from staff detailing which 'Respect Value' they were promoting (please see the Girgarre Respect Matrix below). This then goes in the class raffle box to be drawn at each assembly with students choosing 1 of 4 prizes (shown below). With all this we aim to achieve and maintain a school with happy, healthy and safe children!